This letter was written by William Penn Testerman, Jr. (1842-1925) who served in both the Confederate and Union Army’s during the Civil War. He was the son of William Penn Testerman (1798-1850) and Mary (“Polly”) Brown Crumley (1803-1881) of Sneedville, Hancock County, Tennessee. William began his military journey by serving in the 16th Confederate Battalion of (Neals) Tennessee Calvary in Company F as a raw backwoods private and field scout, according to Tennessee historical records. 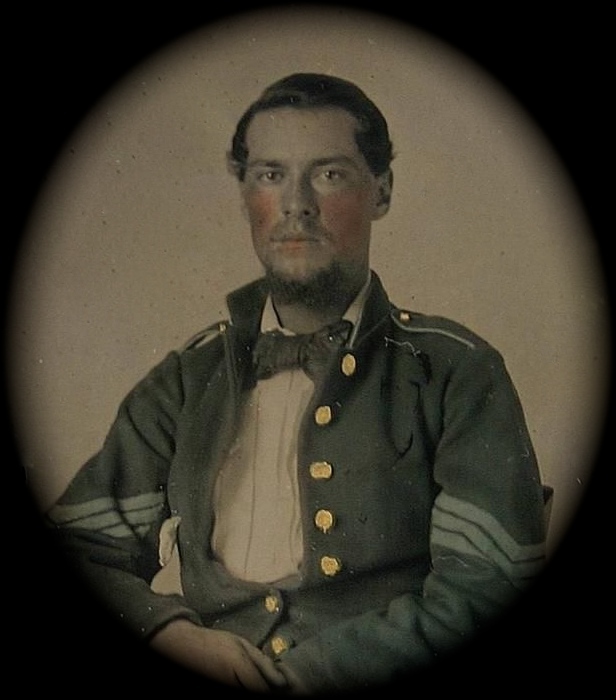 Later on, as the war progressed, he fled the Confederate ranks during the night and became a field sergeant in the Union Army of the 8th Regiment of the Tennessee Calvary. He rose to the rank of Captain of Company E for his exceptional “inside scouting” of pocket Rebel Guerrilla’s. William Testerman was married in 1866 to Jane Davis (1849-1930) in Hancock County, Tennessee. I am happy to have another opportunity of writing you another letter. My health is nearly as good as it was before I had the fever. I truly hope this will reach you and find you well. I have nothing of much interest to write more than we are doing well. We have plenty of rations and nothing to do but lay in the shade. Mother, I would like to see you. You don’t know how bad I want to see you. But as we are expecting to be mustered out of service, I don’t know whether I will come home or not before we are discharged. I want you to be patient and not be uneasy about me for I am out of all danger. If we are not discharged soon, I will come to see you if I can get to come honorably. I never expect to come for I had rather die in the army than to be called a deserter as many will be. Mother, I want you to do the best you can till I get to come home. Then I can content myself to stay with you, I think. I want you to write to me where the mail comes to in that country. I would write to you oftener if I could send letter. This entry was posted on Tuesday, July 1st, 2014 at 10:47 pm	and posted in Uncategorized. You can follow any responses to this entry through the RSS 2.0 feed.